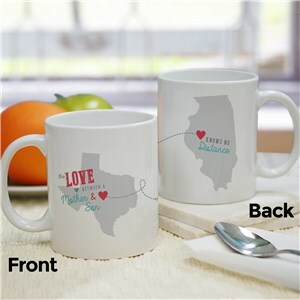 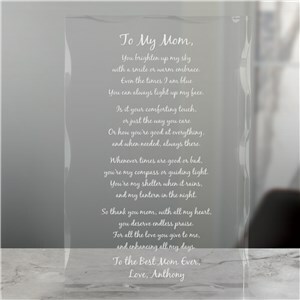 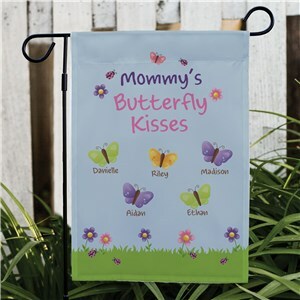 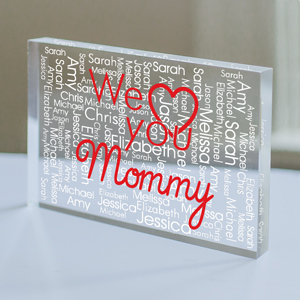 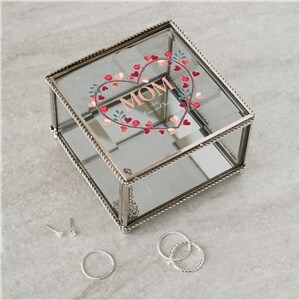 Express your love for Mom with special personalized Mother's Day gifts from GiftsForYouNow! 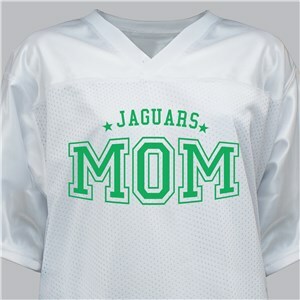 Mamas play so many roles - healer of boo-boo's, listening ear, cookie-baker, finder-of-lost-things, life coach and cheerleader! 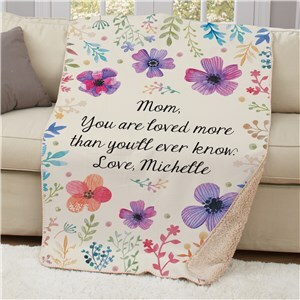 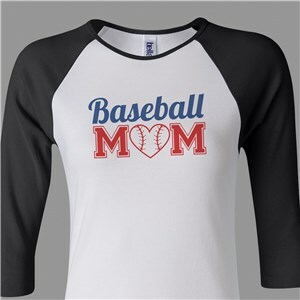 Show your mother or the mother of your children how much you care with personalized mom gifts from GiftsForYouNow. 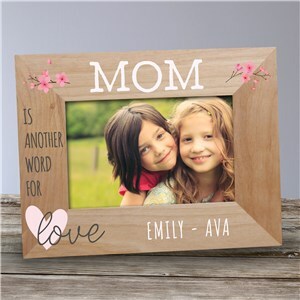 Whether you are looking for a memorable Mother's Day keepsake or some personalized jewelry, we're here to help you find the perfect gift for Mom, Grandma, aunts, sisters - or another special woman that has helped fill this very special place in your heart. 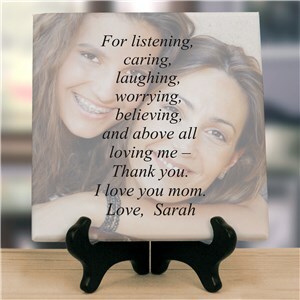 GiftsForYouNow has a wonderful collection of Mother's Day gifts certain to make this a day to remember. 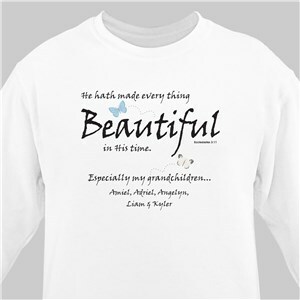 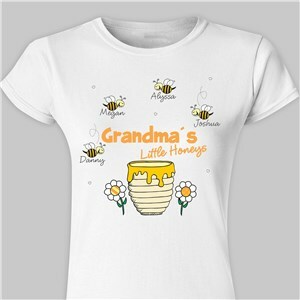 Be sure to check out some of our best-selling gifts for Mom and Grandma, like this Reasons I Love Being a Mom t-shirt and our personalized Mother's Day coupon set! 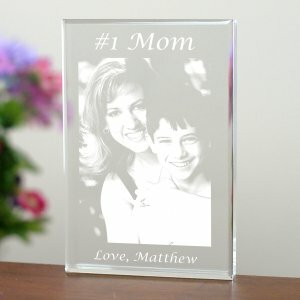 Looking for great gift ideas for someone else on your list? 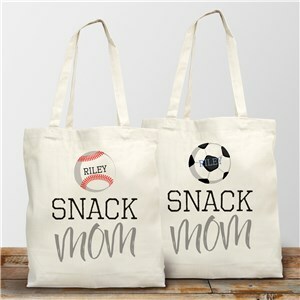 Shop our other selections for all special occasions here on GiftsForYouNow! 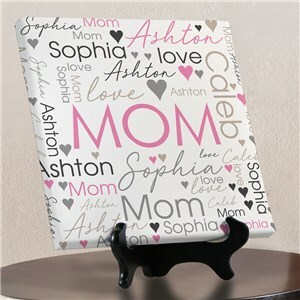 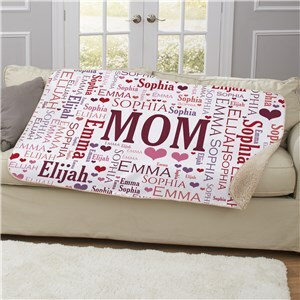 Wrap your Mama in love when the temp gets a little cooler, with one of our cozy personalized blankets. 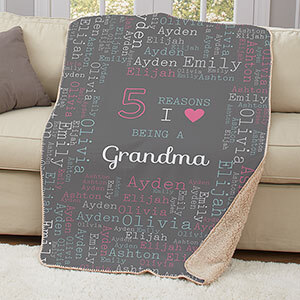 You could also think about a personalized throw pillow to make a favorite chair even more comfortable. 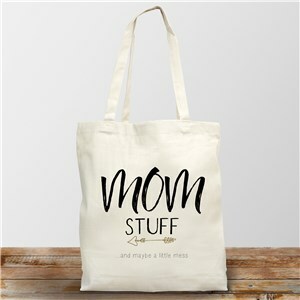 Mom's may carry the weight of the world on their shoulders, but they also carry lots of things in their arms! 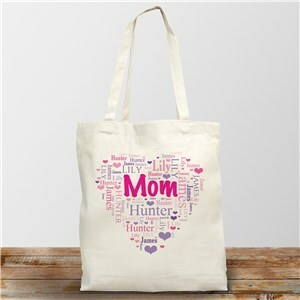 Help her out with a personalized tote bag created with her in mind. 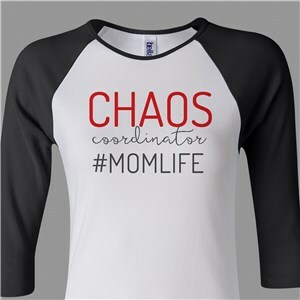 Getting dressed quickly is a mom-magic-trick that helps her get out the door and on with her day. 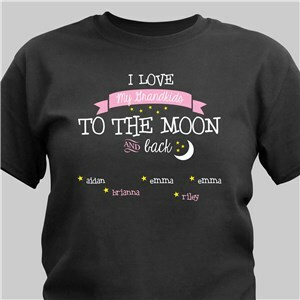 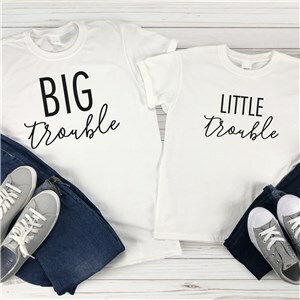 Help her get her morning moving with charming personalized mommy shirts that show off her favorite little people. 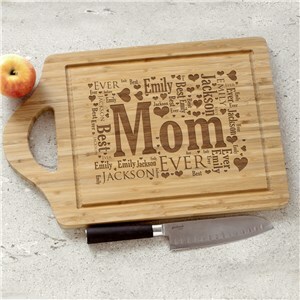 And be sure you don't forget the other special ladies in your life! 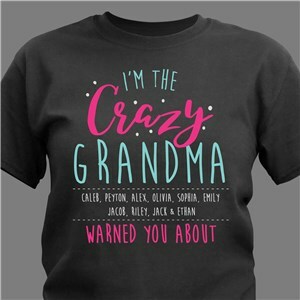 Grandma's come in all varieties - the cookie-baking, warm and cozy type, the go-getting adverturous type, and everything in between. 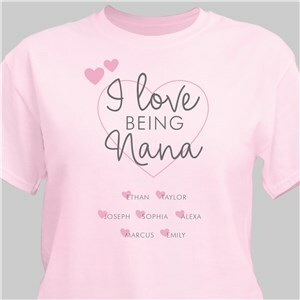 But one thing they have in common - they sure do love their grandkids! 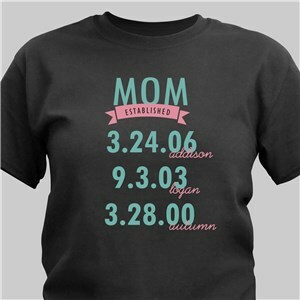 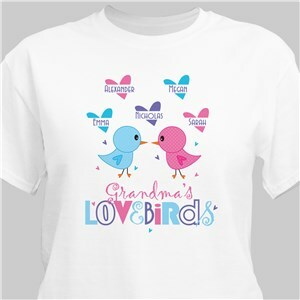 Our personalized Grandma shirts, picture frames and more make it easy to treat your Grandmother to something unique that reflects what makes *her* special! 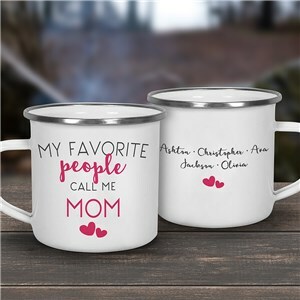 What are the top Five Mother's Day Gifts for 2019?